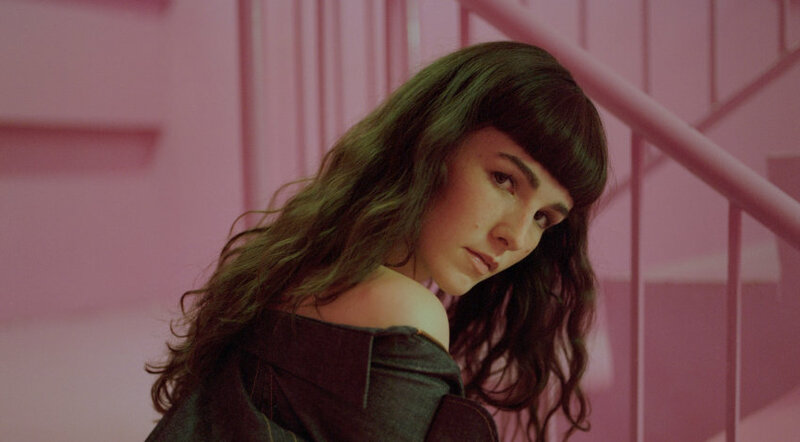 With six singles, sets at RnV & SXSW, and over two million monthly listeners, Robinson has been on fire since her break into the New Zealand music scene last year. Craccum spoke to Robinson following her set at Party in the Park during Orientation Week about her new single, her thoughts on being a woman in the music industry, and her favourite flavour of Shapes. Thank you for your time Robinson, how are you today? Thank you for having me! I’m really well, I just got back from SXSW in Texas and I’m pretty jetlagged haha! You recently played Party in the Park! How’d you enjoy the day? I loved Party in the Park! Albert Park is such a lovely location and it was so fun playing to all the students before they start their big year!! I saw your set at RnV last year, you played that great time of day where everyone is just on such a good buzz while the sun’s still up. Did you get to hang out at RnV after? RNV was serious amounts of fun! I absolutely loved it and the crowd were so awesome. We hung out for a bit afterwards, which was so cool as I’d never been to RNV before! It was so lovely playing as the sun was up and everyone was on such a fun vibe! It was a great end to 2018! What inspired your new single, Karma? Karma was inspired by the nature of ‘what goes around comes around’ in all walks of life. Friendships, relationships – all of it! We can’t do mindless and unkind things to people and expect there to be no consequences. Can we expect an EP/LP sometime this year from you? I’ll definitely be getting a body of work together. I’m still in the process of experiencing life and writing about those experiences. I’m constantly writing new songs that I’m like ‘oh wow, I can’t wait for this to fit into the album’, when I get to the point where it’s like… ‘okay, this is enough life experience for album #1’… then I’ll start to look at putting it towards an album haha! International Women’s Day was March 8th. Do you have any thoughts on being a woman in the music industry? What a beautiful day and outpour of love from all the women that have inspired each other! I think you’ve got to be resilient, strong and believe in YOURSELF. It can be hard sometimes, and it’s easy to self doubt as a human being. We’ve all got each other’s backs and I think it’s important to rely on each other for support. We must build each other up, always! What is your favourite part of performing? My favourite part of performing is feeling the energy from the crowd. Honestly, nothing can beat it! When they’re all going crazy and having the best time, it really is so special and you remember it forever. I have moments from my live performances that are literally imbedded into my brain. They keep me going whenever I’m having an off day. What’s your favourite flavour of Shapes? You’re going to think I’m crazy…. but I’m not a big fan of Shapes. I’m soooooorry 😂😂 BUT I can give you a few other things I love… brownies, salt and vinegar chips, BURGERS!!! I hope I’ve redeemed myself! Who is an artist you’d love to collab with? There are so many artists I’d love to collaborate with. I recently saw Donna Missal live and she was absolutely incredible. I’d love to collaborate with her. She is such a powerhouse, not only musically, but as a woman and watching her presence on stage. It’s absolutely inspiring. Top 5 artists of all time, go: Jeff Buckley, Liz Fraser, Miya Follick, Matty Healy, Tom Petty and Phoebe Bridgers! I know that’s 6 hahah! Can we expect another show in Auckland anytime soon? Hopefully soon! I absolutely love playing in Auckland!! What is your star sign and do you believe in them? My star sign is Virgo and I sometimes believe in them. Sometimes I think ‘wow, that’s weirdly alike me’ but I’m also unsure! Lastly, what’s next for you Robinson? Hopefully moving overseas, potentially to London. More live shows and LOTSSS more song releases!! !